Foreign citizens travelling to Romania have to obtain a visa before their departure from Romanian embassies or consulates, except for those who come from countries that have signed conventions for the removal of the need for visas. There are four categories of travellers: those who can travel to Romania without a visa, those who receive a visa without an invitation, those who need an invitation to obtain a visa, and finally those who have to have a visa for airport transit. 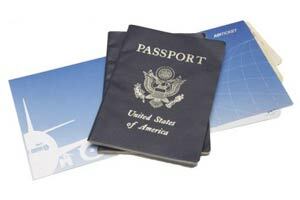 There are visas for single or multiple entries. In exceptional situations, the Romanian customs police can give and extend visas: for a mission, for business, for sports activities, for media and press, for transportation and for transit. The visas issued by Romanian embassies or consulates are: 60 days for tourism, 3 days for transit, and 30 days for the other types of visa. For the diplomatic missions, the period is mutually agreed. 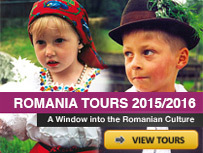 A visa costs 25 US$ for a single journey to Romania or 60 US$ for multiple entries. The emergency fee is 6 US$/person. For organized groups of tourists that can prove that all tourist services have been paid beforehand (voucher), the visas are free of charge. Tourists coming from the Central, Northern and Western European countries, as well as those from Greece, Hong Kong, Japan, Macao, Malaysia, the Russian Federation and the Ukraine, do not need a visa for a period of up to 90 days. Persons coming from the former “communist block” (Bulgaria, Croatia, the Czech Republic, Hungary, Macedonia, Poland, Serbia, Slovakia and Slovenia), but also from Cyprus, Ireland, Liechtenstein, the United Kingdom and the United States, can stay up to 30 days in Romania without a visa. Only the citizens of the Republic of Moldova can come to Romania without any limits to the time stayed. The persons coming from the following states need an airport transit visa to enter Romania: Afghanistan, Bangladesh, the Democratic Republic of Congo, Eritrea, Ethiopia, Ghana, India, Iraq, Iran, Nigeria, Pakistan, Somalia and Sri Lanka. All other travellers receive a visa only with an invitation. Actually I’m emailing you cuz i really want to visit Romania for 10 days.im Egyptian citizen and I’m working as a logistics coordinator. I never been to Europe before so that’s why I want visit Romania . If you can help me I would be appreciated. I am from india. i want to visit Romania. how is it possible please help me. We are providing accommodation in sri lanka one week for them our own house. I am a Ghanian Living in Georgia and am having a Georgian residence permit n do i need a visa to travel to Romania? If you want romanian invitation letter i can help you . Dear sir i am a Bangladeshi citizen. Now i am staying in georgia. i have a 1 year georgian temporary resident permit. I would like to travel in romania. Please suggest me how can i get a romanian visa and what is the procedure. Im trying to make it to romania for a visit to my girlfriend, i have a temporary jordanian passport…can you tell me what documents do i need to get there? i can help guys who wants to go romania.